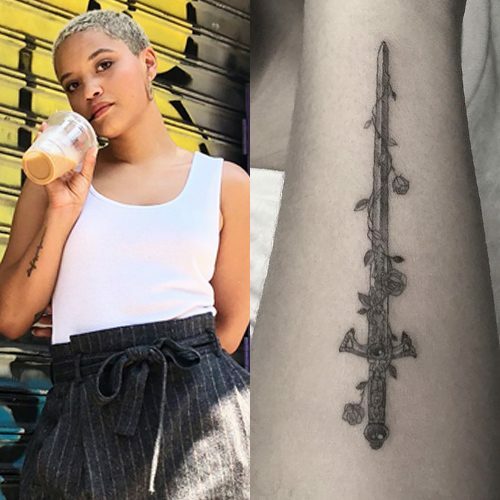 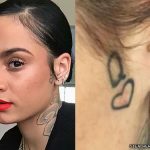 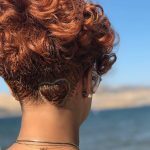 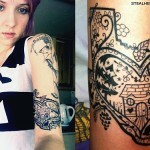 Kiersey Clemons has a tattoo of a sword with roses around it on the back of her right forearm. 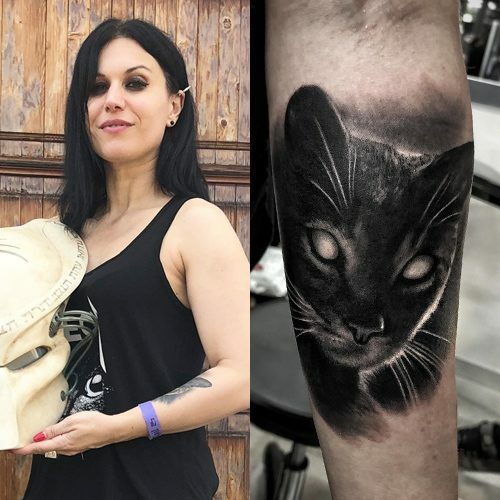 Cristina Scabbia has a black cat tattoo on her left forearm done by Milan based artist Diego Lanzone. 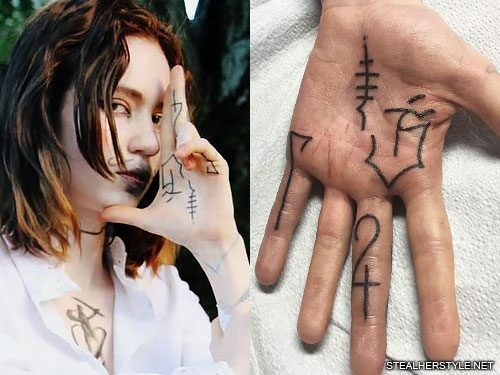 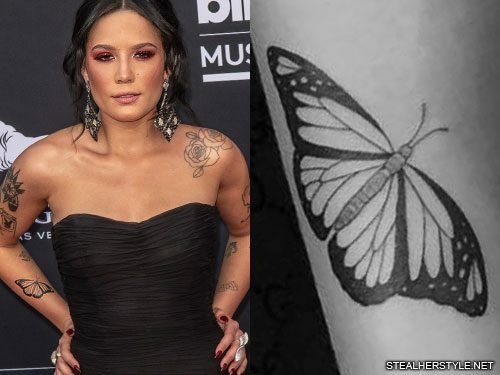 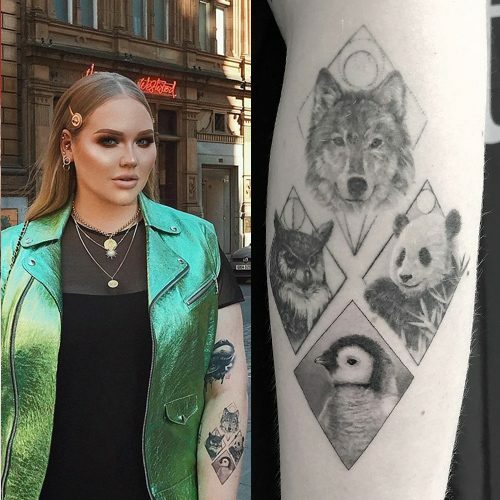 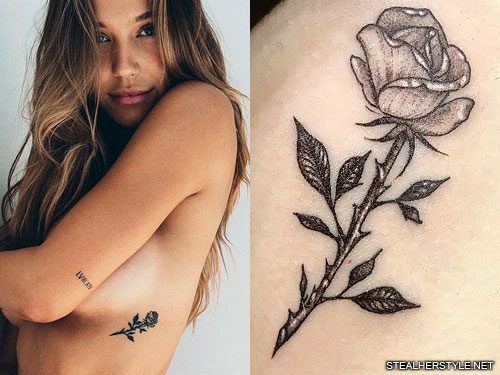 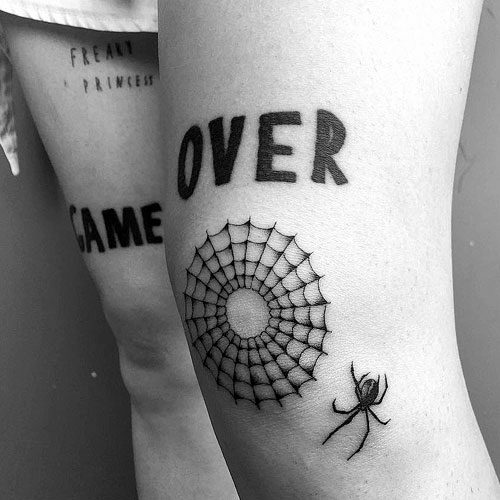 Halsey got a tattoo of a butterfly on her right forearm from artist Jon Boy in May 2018. 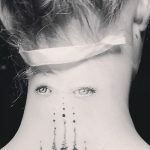 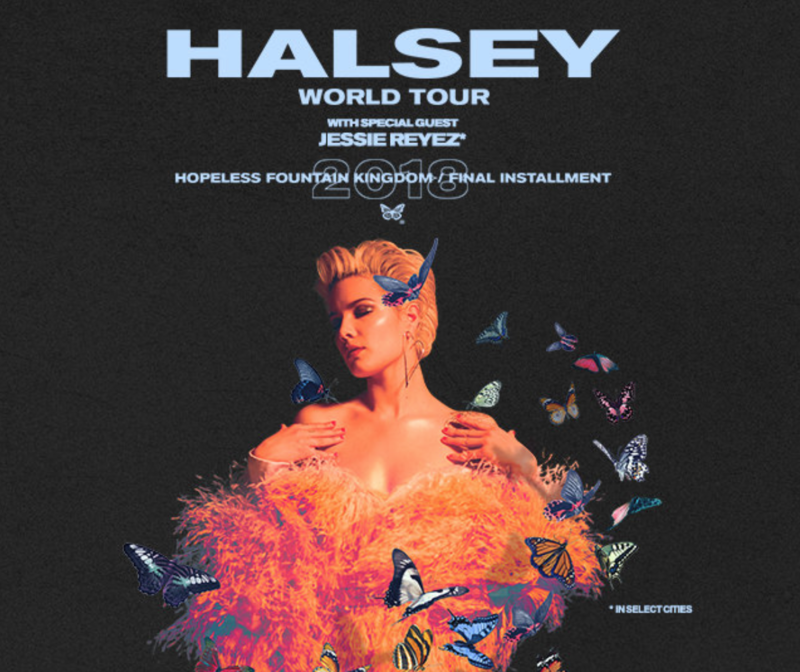 Butterflies have appeared in her artwork throughout the Hopeless Fountain Kingdom album cycle, including the “Bad At Love” single cover and final installment tour poster. 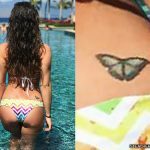 Butterflies are the emblem of the House of Spera, one of the fictional rival families whose stories she tells on the album. 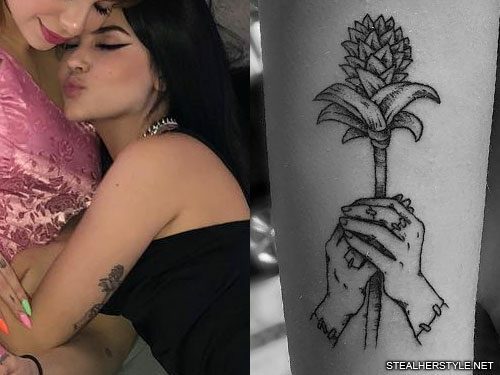 The exact butterfly design that Halsey tattooed on her arm was created as a logo for the Hopeless Fountain Kingdom tour, appearing on a variety of merchandise and on her meet and greet backdrop. 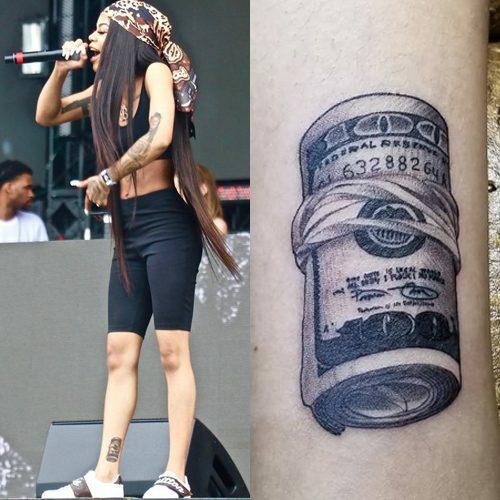 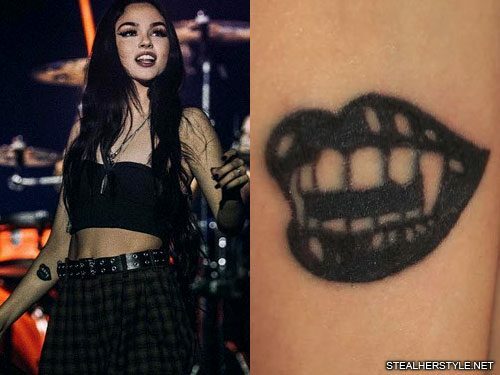 Molly Brazy has a roll of hundred dollar bills tattoo on her right ankle.